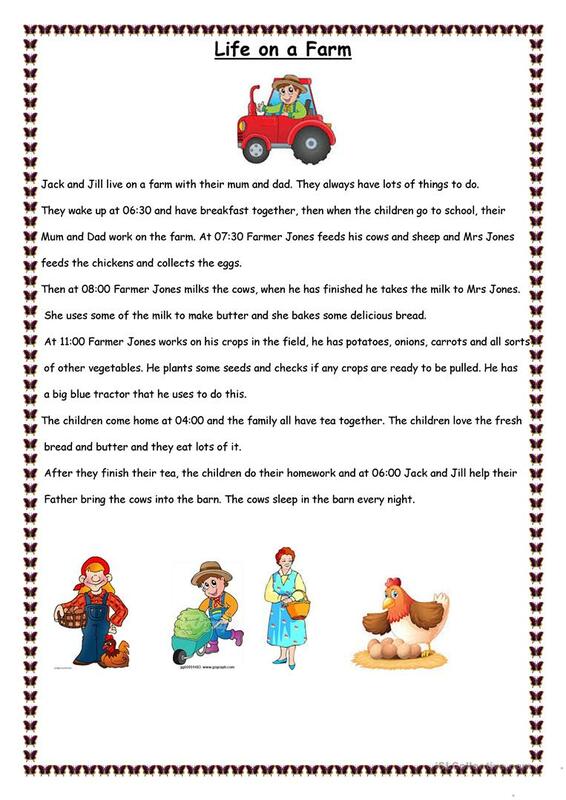 Reading comprehension with questions based around daily routines on a farm. 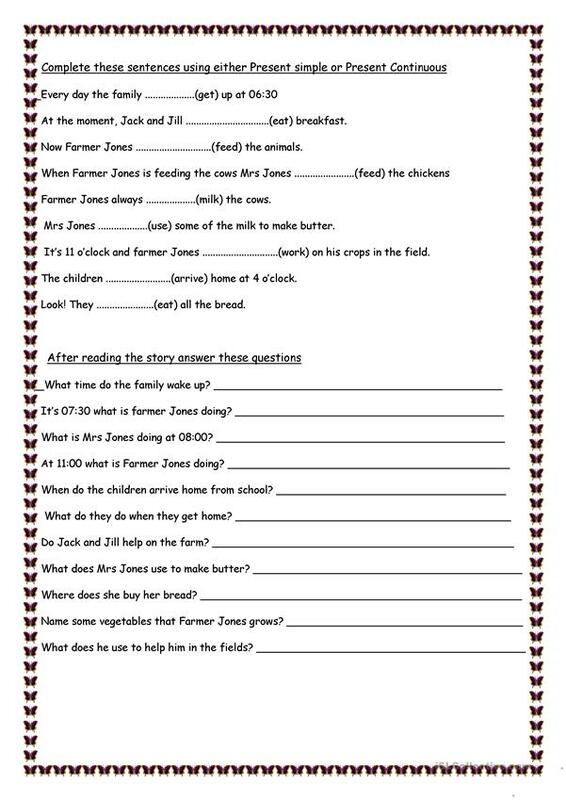 questions are based on present simple and present continuous. This downloadable handout is a great resource for high school students and elementary school students at Beginner (pre-A1), Elementary (A1) and Pre-intermediate (A2) level. It is aimed at teaching Present simple vs continuous (progressive) tense in English, and was designed for enhancing your pupils' Reading and Writing skills. adiri is from/lives in United Kingdom and has been a member of iSLCollective since 2013-03-05 11:34:10. adiri last logged in on 2019-04-23 15:48:58, and has shared 69 resources on iSLCollective so far.